Add your say to the conversation by leaving a comment on a Hi5. Would you like to thank someone for a Hi5, or did you see a Hi5 given to a co-worker that you'd love to add some feedback or appreciation to? Besides backing a Hi5 as validation, you can now also leave comments to add to the conversation and make your co-workers feel even more appreciated! Type your comment then click the Add Comment button underneath. 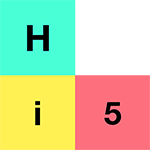 The receiver of the Hi5 will get a notification that someone has left a comment on the Hi5 for them. Now, everyone will see there's a comment on the Hi5 and will be able to join in on the conversation! If you wish to edit or delete your comment, simply open the Hi5 again and click on Edit or Remove underneath. Please note: As an Employee or Line Manager, you can only edit or remove your own comments. Admins are able to remove anyone's comments from Hi5's. Want to give a Hi5? Here's how.